Despite rising numbers, it's still not known whether the number of women accessing such services has returned to the levels that preceded massive budget cuts during the 2011 legislative session. In a legislative report released Thursday, the Texas Health and Human Services Commission presented new numbers on how many clients were served in the Healthy Texas Women program and the state’s Family Planning Program. Under the Healthy Texas Women program, 122,406 clients were served during 2017 fiscal year, according to the report. That's up from the 70,336 clients in the 2016 fiscal year. The program’s monthly client enrollment grew from 105,406 in September 2016 to 220,154 clients in August 2017. The report found that pregnancy tests and sexually transmitted disease testing, such as for gonorrhea and chlamydia, were some of the most popular services under the Healthy Texas Women program. 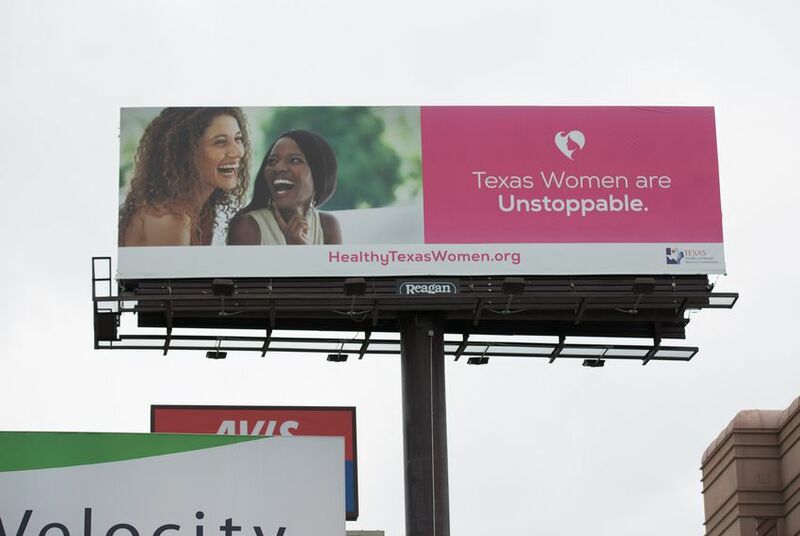 The Healthy Texas Women program is the state’s second attempt at reimagining how to provide reproductive health and family planning services for low-income women without the involvement of Planned Parenthood or other organizations that provide abortions at some of their locations. The Healthy Texas Women program has been a test for legislators in the wake of the 2011 legislative session when $73.6 million was slashed from the family planning budget. The health agency has ramped up efforts to boost enrollment, including a multi-million dollar public health campaign and auto-enrolling women who were previously being served under Medicaid for Pregnant Women. Under the program, low-income women ages 18 to 44 are eligible for services including pregnancy testing, STD testing, breast and cervical cancer screenings, contraceptive counseling and postpartum depression screenings, as well as help with chronic diseases like diabetes, high blood pressure and high cholesterol. Fifteen- to 17-year-olds are also eligible if a parent signs them up.The program does not offer abortion services. Meanwhile, the Family Planning Program saw a dramatic uptick of clients served, jumping from 38,404 in fiscal year 2016 to 96,990 during fiscal year 2017. For that program, pregnancy and STD testing were also popular services. Under that program, beneficiaries are eligible for birth control, pregnancy tests, counseling on birth spacing and screening for cholesterol, diabetes and high blood pressure. The commission also reported that thanks to the two programs, Texas is projected to save millions of dollars on Medicaid, the joint health insurance program for the poor and disabled, and the Children's Health Insurance Program. According to the report, the Family Planning Program would save the state from paying for 7,097 births that would've been potentially covered by Medicaid and CHIP. The state would save $148.7 million in Medicaid dollars. Meanwhile, the Healthy Texas Women program would save the state from covering 9,786 births. That would save the state an estimated $103.6 million for Medicaid. However, the commission report notes that Healthy Texas Women and the Family Planning Program cannot be compared to previous programs “due to changes in program eligibility and benefits." The only numbers that can be compared are the number of providers participating in the programs. Stacey Pogue, senior policy analyst for the left-leaning Center for Public Policy Priorities, said she’s “very happy more women are being served” but disappointed the report doesn’t allow comparisons for how many women were served before the 2011 budget cuts. The report also comes as the state continues to wait to hear if the federal Centers for Medicare and Medicaid Services will bankroll more than $400 million in federal funding over five years to fund the Healthy Texas Women program. State officials submitted the application last summer. Besides money, if federal officials approve Texas’ request — while still allowing the state to exclude abortion providers — other states could feel emboldened to pursue similar strategies. Iowa and Missouri have already forgone federal money in order to exclude Planned Parenthood; they would likely follow Texas’ example and continue those exclusions with health programs that would be backed by federal dollars. Disclosure: Center for Public Policy Priorities, Planned Parenthood and the Texas Department of Health and Human Services have been financial supporters of The Texas Tribune, a nonprofit, nonpartisan news organization that is funded in part by donations from members, foundations and corporate sponsors. Financial supporters play no role in the Tribune's journalism. Find a complete list of them here.